2. Non-stop cutting with automatic preset sorting. 3. 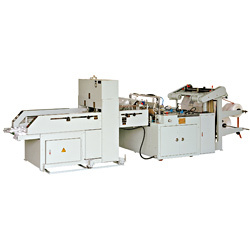 Option: JCAP automatic punching unit. 1. 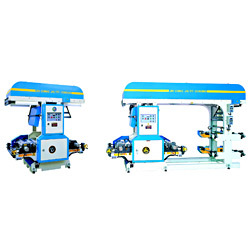 Heat cutting system special for T-shirt bags making. 2. Single track design, equiped with printing photo scanner. 3. Non-stop cutting with automatic preset sorting. 4. Operation sequence and trouble shooting indicators on control panel. 2. 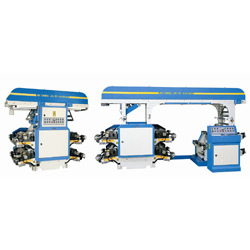 Twin track design, equip with photo scanner. 4. Designed with over-head fault indicator for smooth trouble-shooting. 1. Model: JCFP-4060A, JCFP-4080A, JCFP-40100A, JCFP-40125A, JCFP-40150A. 2. 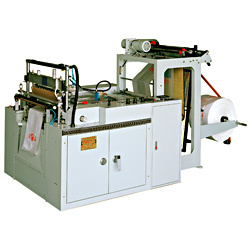 Printing width: 600mm, 800mm, 1000mm, 1250mm, 1500mm. 1. 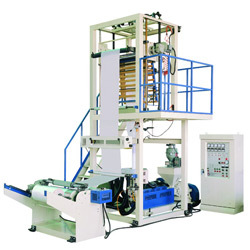 Resin to be used: HD / LD / LLDPE. 2. Main product: HDPE / LDPE / LLDPE tubular film. 3. Width of film (mm): 900. 4. Thickness OD film: HDPE:0.008~0.12mm; HDPE / LLDPE:0.01~0.20mm. 5. MAX. extrusion output: 65. 2. 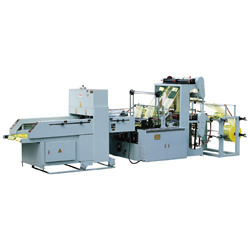 Dotting and sealing operate at the same time. 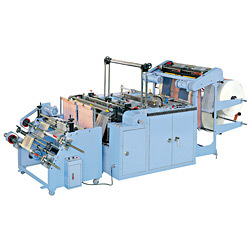 (Special tension-less dotting machine). 1. 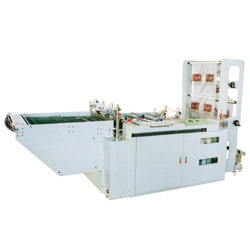 Model: JCFP-2060A, JCFP-2080A, JCFP-20100A, JCFP-20125A, JCFP-20150A.